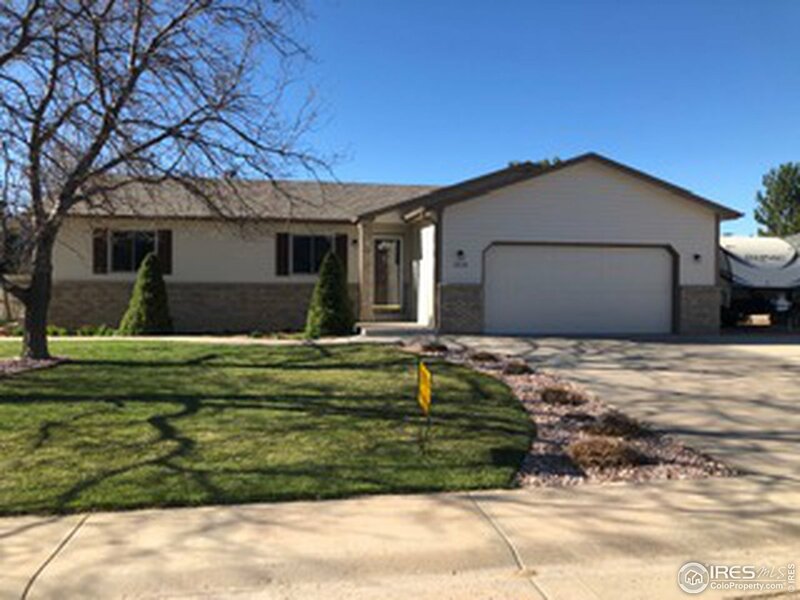 All Eaton homes currently listed for sale in Eaton as of 04/25/2019 are shown below. You can change the search criteria at any time by pressing the 'Change Search' button below. 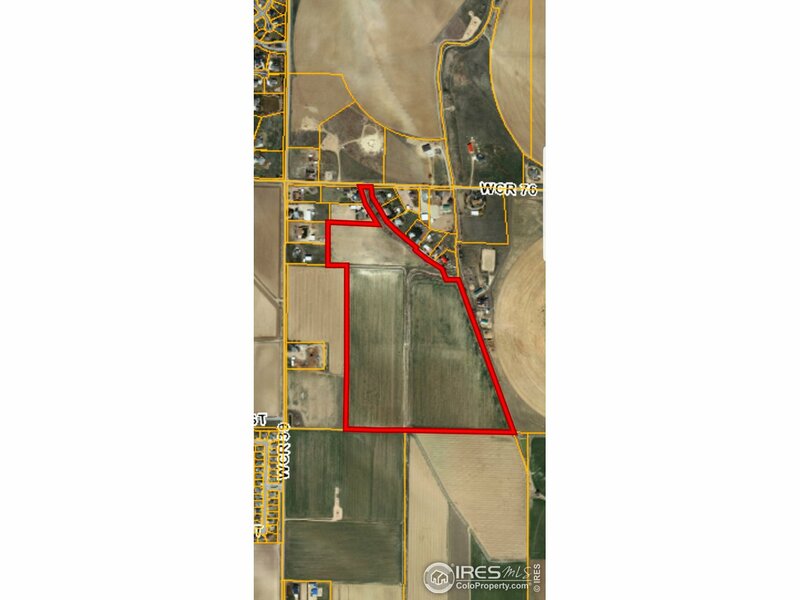 "Over 140 acres located in West Central Weld County. This location was previously used to feed 35,000 lambs with two USR Permits, one of which also allows for cattle. Infrastructure and buildings still in place. Thirty-one allocations of water in the North Weld Co Water Dist and twenty plant investment allocations are included. 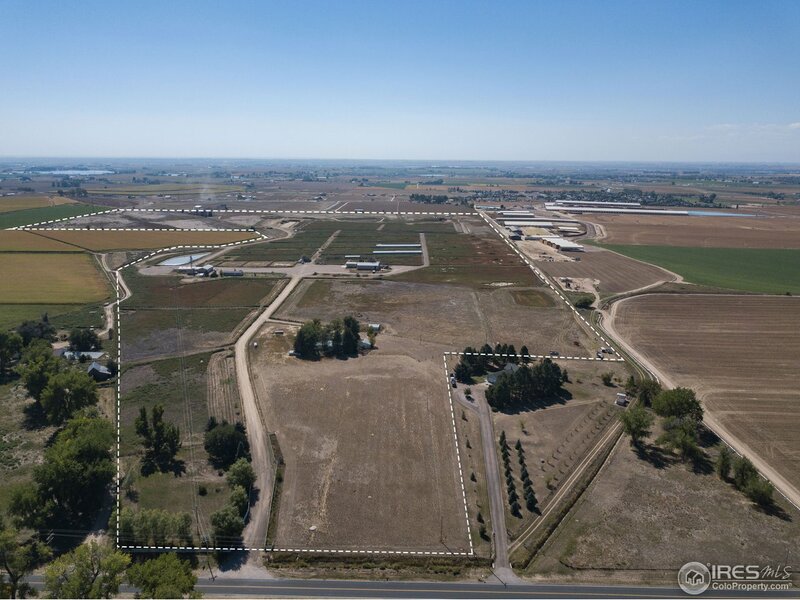 Easy access to the I-25 corridor for future residential development potential. Contact North Weld about using the included water rights for residential development." "Immaculate ranch on 17 acres. Completely expanded & remodeled. Chef's kitchen w/Viking Range, knotty alder, granite & large island. Hardwood floors. Venetian, hand scraped walls. Huge master suite w/steam shower, private deck, hot tub, & mountain views. 1000 sq ft barn. Arena, paddocks, loafing sheds, iron fencing & storage bldgs. Magazine worthy grounds, gardens, patios & landscaping. Gated drive. Country living at it's finest! Check out the video & come see for yourself! Only 20 min to FTC." 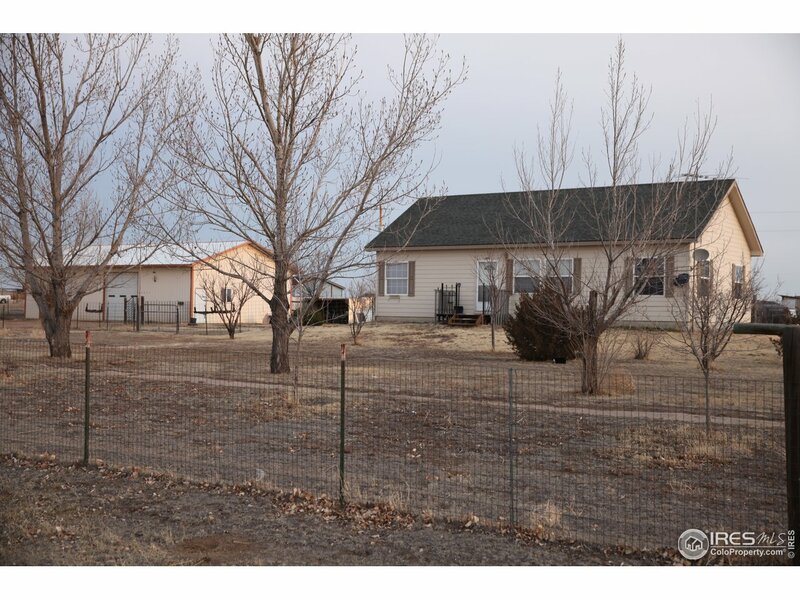 "Country home that includes a 3 bedroom 2 bath +/- 1686 sq.ft. 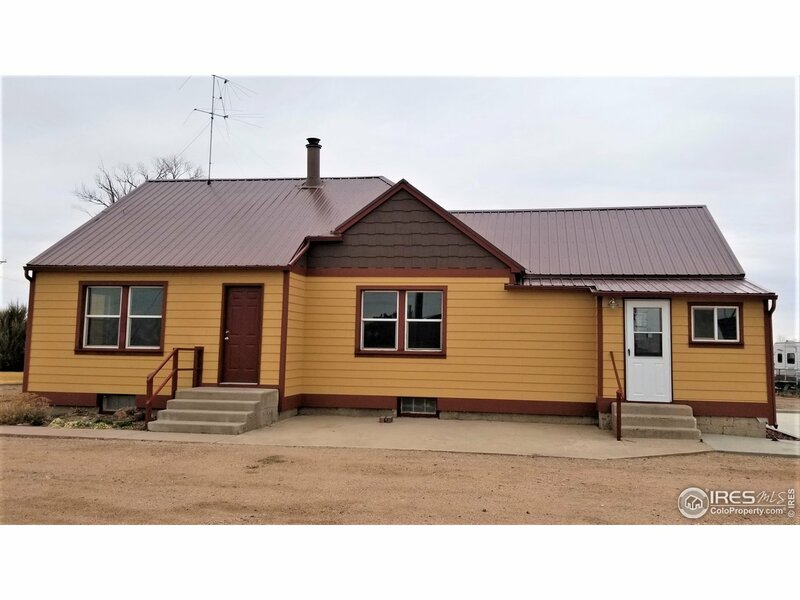 home with new roof, siding, windows, 24 X 24 detached garage, 50 X 80 Quonset, 200 amp electrical service, 40 X 90 covered hay storage, irrigation, 100' loafing horse/ livestock barn with 5 pipe runs with water and electric to each. 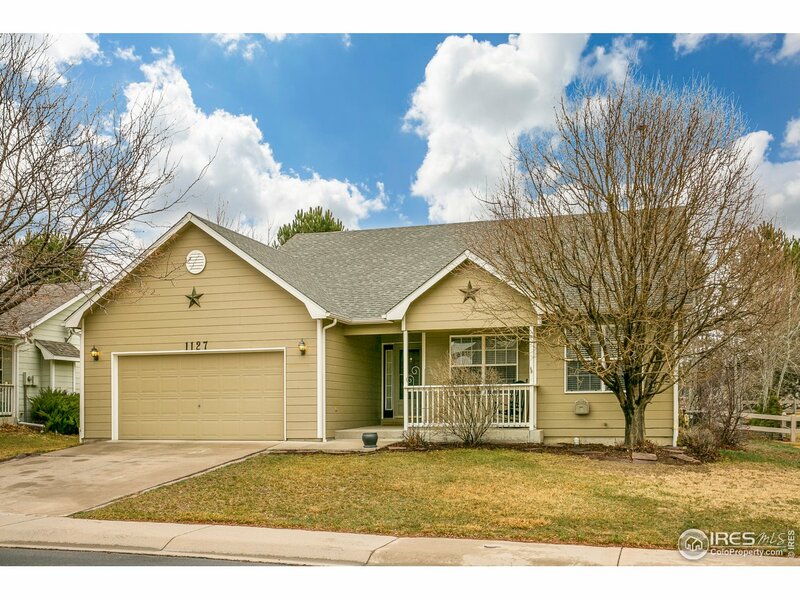 Property is conveniently located minutes to front range cities and towns 1 hour door to door access to Denver International Airport." "Location Location!!! 70+/- Acres 1 mile east of Eaton. Large parcel with many possibilities. Land is eligible fora possible RE. No irrigation water, irrigation water can be delivered to the property through For Far Lateral Company. Property does have a North Weld pipeline running through it." "Everything you need! 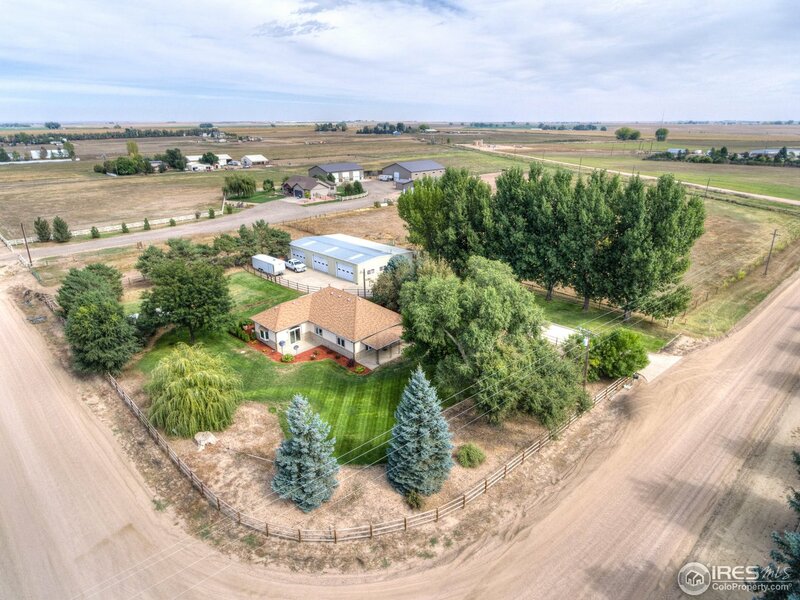 HOUSE, SHOP, LAND & IRRIGATION WATER, ROOM FOR HORSES! 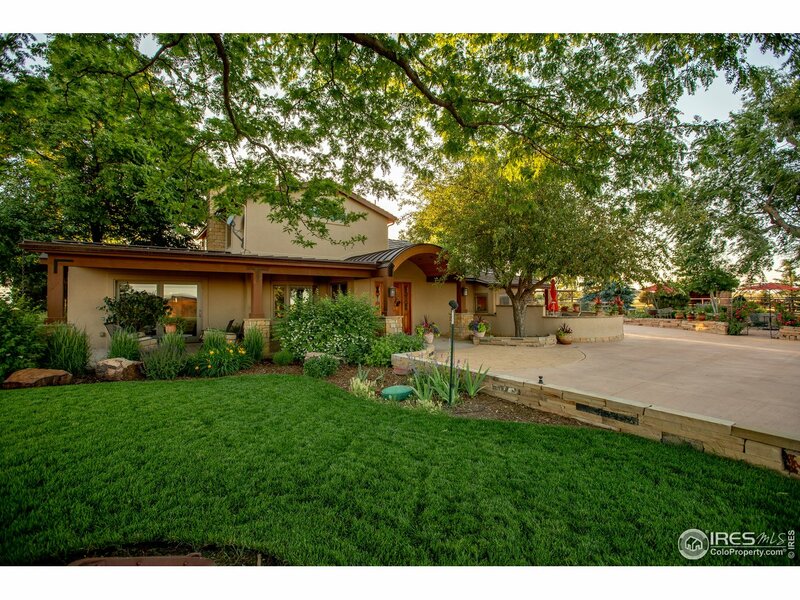 Quality updated 1613 sf 3b-2b stucco ranch home on 5.31 acres! House updated in 1994. ~2500 sf shop parks 6+ vehicles, has 3- 10x16 bay doors, 1 heated bay w lift (incl), horse tack/feed room, covered stalls & hay storage (panels negot). Property includes rights to JJ Davis Mutual Ditch Co, & Mineral Rights included. Long/wide concrete drive, fully fenced yard, dog kennels, raised garden beds, concrete patio w hot tub!" 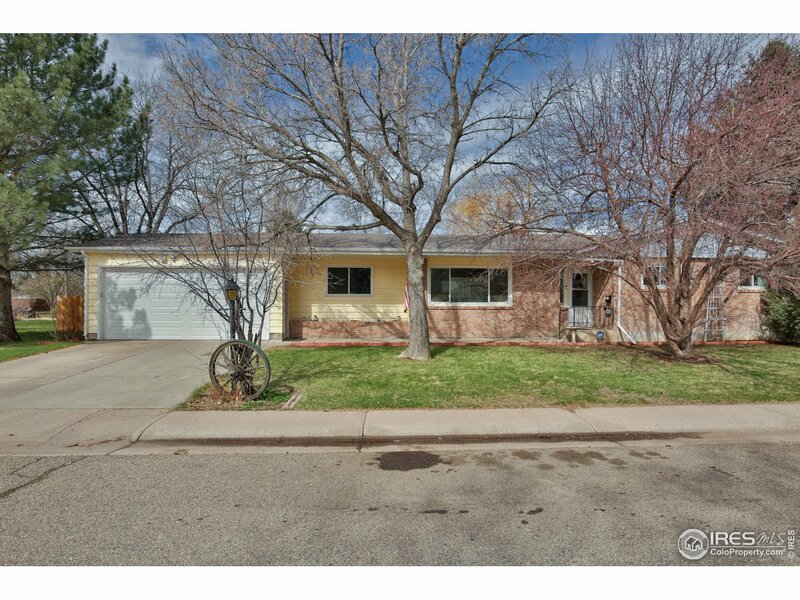 "Immaculate Bright, Light and Open contemporary ranch with a full finished basement. High end finishes, Ash cabinets and flooring. Spacious kitchen with granite counters and stainless steel appliances opens to living room with fireplace. French doors lead to a large private patio. Master features step in shower, vaulted ceilings. Everything is like it is brand new. Mother in law set up in the basement with its own kitchen and eating area, a large rec room and separate TV room, surround sound." "Country Living at it's Finest! 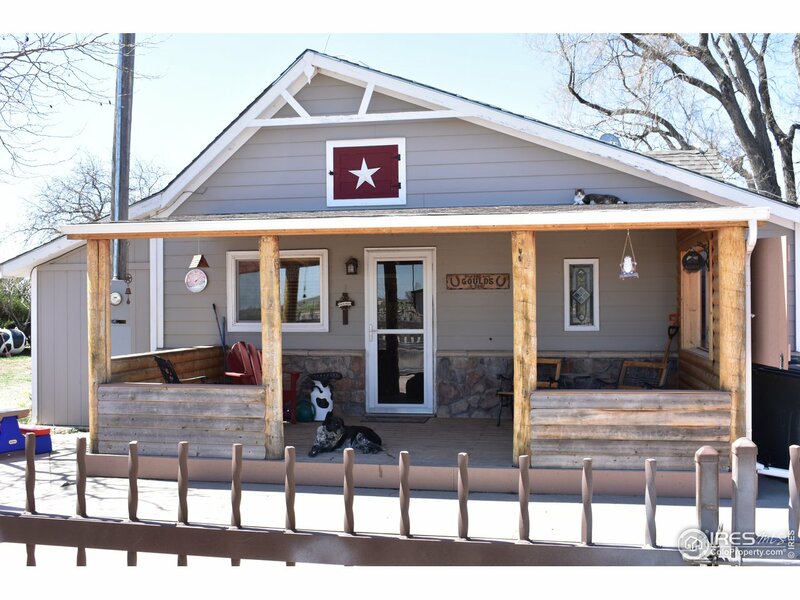 Don't miss this updated ranch style home sitting on almost 2 acres w/ out buildings incl. chicken coups (1 w/ auto watering & timed doors), large lean-to & 30' X 40' newly re-skinned metal garage w/ concrete floor. 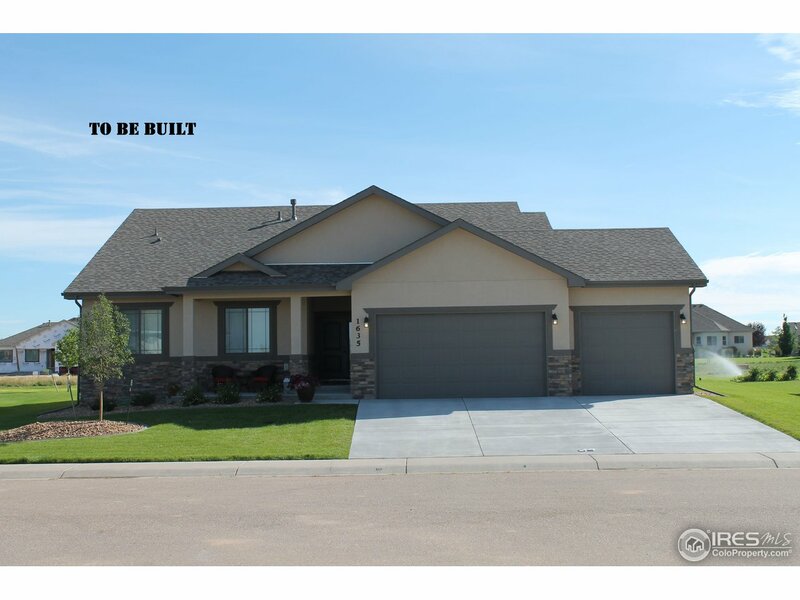 Large Granite island, 3 beds, 2 baths, finished bsmt w/ wet bar & storage or work area. Enjoy the outdoor space & privacy as each side of the lot abuts farm land. Grow your own crops or bring the horses as water is available outside & behind Lean-To!" "Great Country Home. Bring your Peeps and ALL your animals... nice sized Barn, fenced Pasture, large Chicken Coop, sturdy Dog Kennel. Park ALL your vehicles...large garage, covered RV parking, NO HOA! Got a business? Want to grow a large garden? OR just want some space away from city life? Lots of opportunities here, come check it out. Did I mention there's NO HOA? Weld County restrictions apply." "Gorgeous custom 2-story home. Home w/dramatic cathedral ceilings in great rm, hrdwds on main floor. Lrg island w/5-burner gas cooktop, electric oven & SS appliances included. Granite counters in kitchen & baths. Open shelving in nook area. Main flr master, office & laundry rm plus 3 nice sized bdrms up. Lrg master w/5 piece luxury bath & walk-in closet. Covered back patio, fully landscaped w/sprinkler system & concrete curbing.Full unfin bsmt, over-sized 3-car garage 901 SF, 2 AC & 2 furnaces." 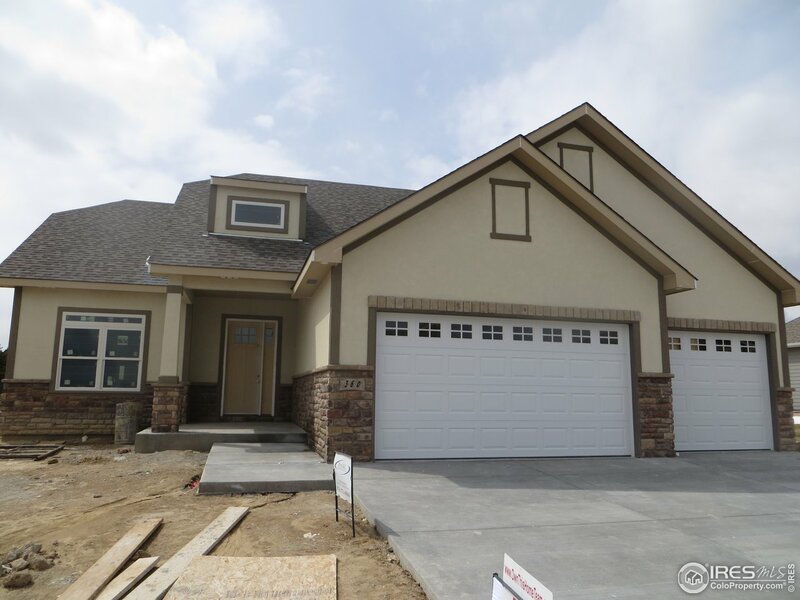 "Builders Model Home now for sale! Upgraded! Backs to Open Space, 2x6 construction, Andersen windows, solid knotty alder trim & doors, engineered hardwood thru out (carpeted bedrooms) Upgraded quartz & granite, hammered copper farm sink, gas range, alder cabinetry w/ soft close, craftsman wall & ceiling treatments, stone FP, large master suite w/ showcase zero threshold shower, master closet passes thru to laundry, heated insulated garage, 9' ceilings in basement. Superb Quality Construction"
"Paper Spec - Not yet built. Been looking for a great floor plan with a 4 car garage. We paired our must popular plan & added the 4th car tandem! Sunroom + covered patio to enjoy the views from this lot. 2x6 construction, Andersen windows, quality finishes, granite tops thru out, walk in pantry, 9' ceilings, high eff. furnace, A/C, plus more. Let Pagel Contracting make your dream a home! 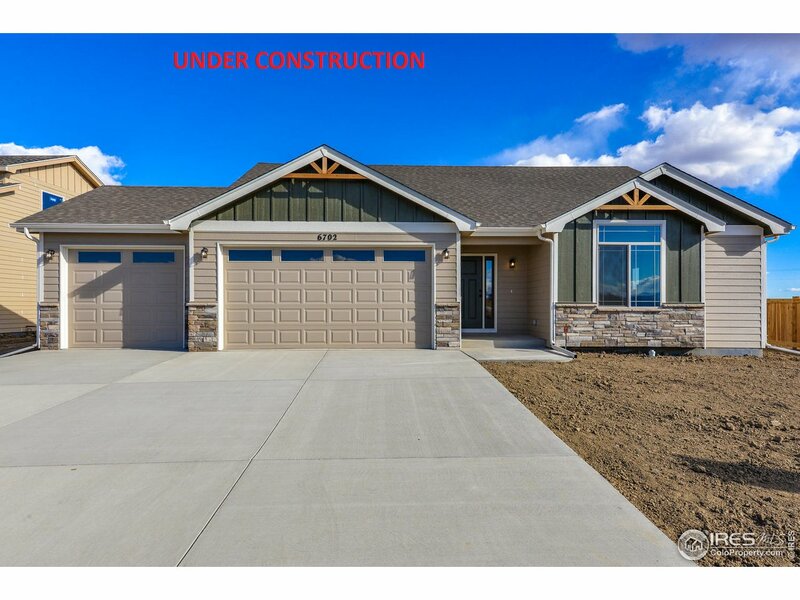 Pics are from prev built home with some upgrades"
"Brand New Floor Plan! Ready in April '19! 2x6 construction, Andersen windows, 10' ceilings, covered back patio, engineered hardwood in entry/kitchen/dining/great room, granite/quartz countertops thru out, large kitchen w/ hidden pantry, master suite w/ coffered ceilings and 4 piece master bath (w/ poured pan tile shower) & large walk in closet. Quality finishes!" "This gorgeous patio home is move-in ready! The main level features an open floor plan, an elevated dining room, and lovely master bedroom whereas the finished basement is highlighted by the tall 9' ceilings and newer carpet. Recent upgrades include a new roof, new exterior stucco, new water heater, and dishwasher. The home is part of the Cottages at Hawkstone which means all exterior maintenance (snow removal, professional landscaping) is included!" "You will not find another deal like this! This move in ready 3 bedroom, 1 bath home offers an updated kitchen and bath, new interior paint, beautiful hardwood floor throughout, new furnace and A.C., great exterior landscaping, and so much character! 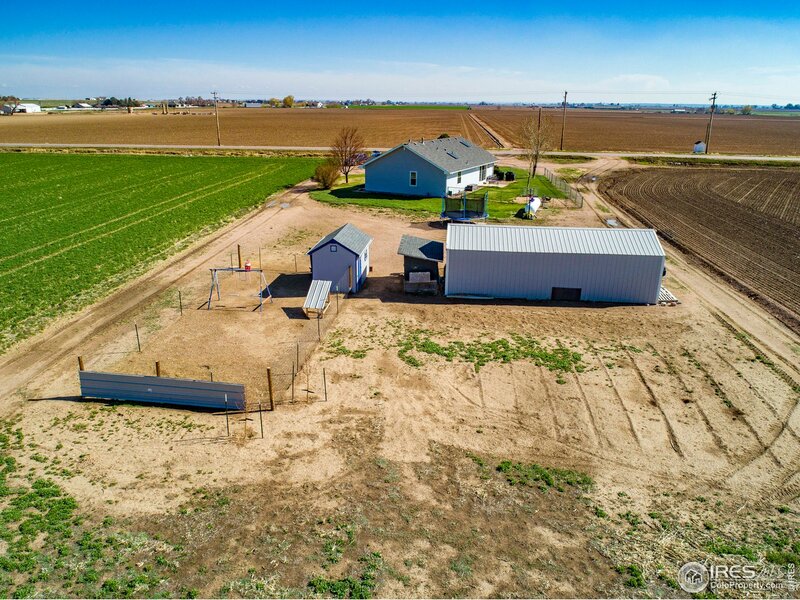 With over 4 acres of land, established corrals, a great barn with a heated office and bathroom, and a dugout for additional storage space. Did I mention this is also in the Eaton school district? Hurry before this one is gone!" "Gorgeous modern ranch style home that offers a ton of space inside and out. No HOA and great schools! There are 4 conforming bedrooms and 2 non conforming plus a secret hide out room. 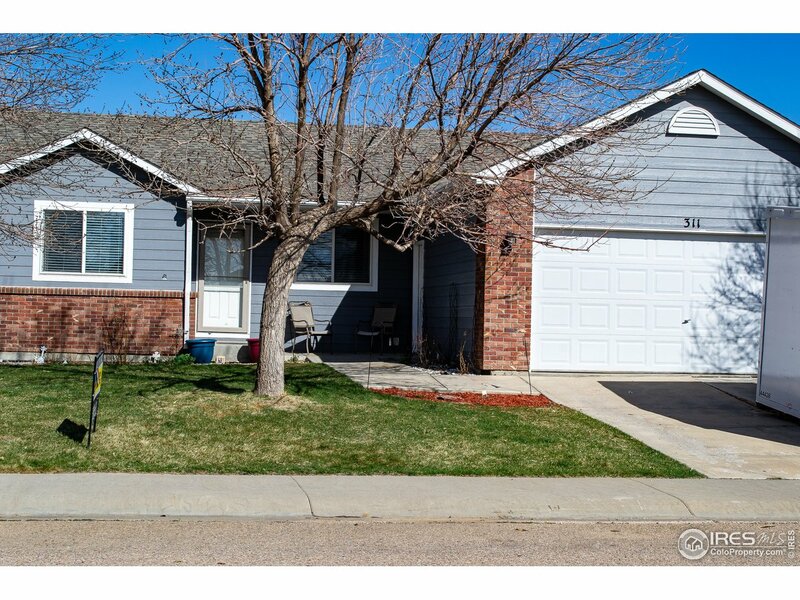 Open floor plan and kitchen in basement offers plenty of room for hosting or an opportunity for extra income! Windows, furnace, A/C unit, water heater, refrigerator, dishwasher, oven/stove, microwave are only a couple years old. New fence and garden beds in backyard. This house has it all!" 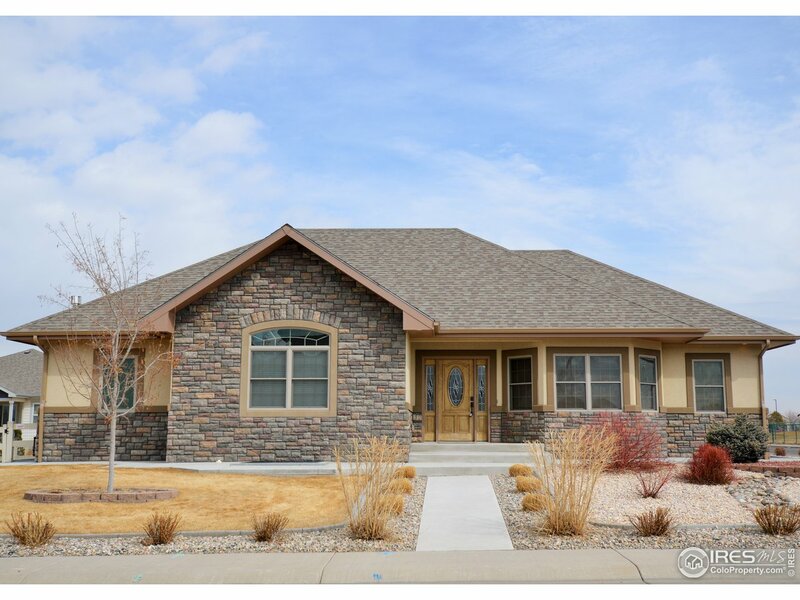 "Awesome ranch plan with 3 bedrooms and 2.5 baths on main floor. Open floor plan with vaulted ceilings, big kitchen and island, stainless steel appliances, upgraded cabinets and great pantry. 3 car garage, full unfinished basement, passive radon, gas fireplace, quartz countertops in kitchen and bathrooms, and A/C included. Great lot backing to private greenbelt. Stillwater plan by Sagehomes.com. Construction to start in May. 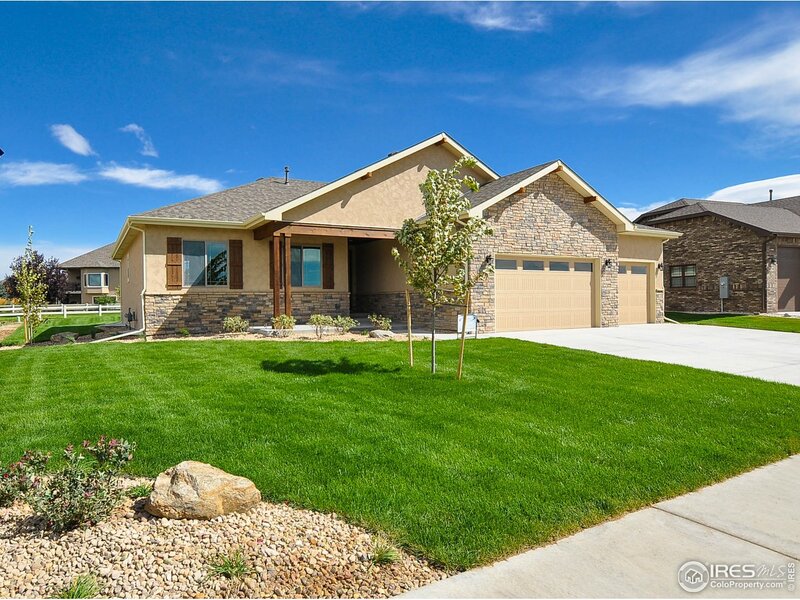 Photos of model at 6702 Sage Meadows, Wel. Est. completion Sept 2019." "This ideal 5 bedroom home offers 3 full bathrooms, vaulted ceilings, alluring hardwood floors, a separate formal dining room, main floor laundry, and a spacious floor plan. The eat-in kitchen has plenty of cabinet space, with a breakfast nook. Warm up by the gas fireplace or take the short walk to Hawkstone's private clubhouse and pool. Relax on the beautiful trex deck that overlooks the fenced backyard. Located on a vast corner lot. Bring all reasonable offers!" 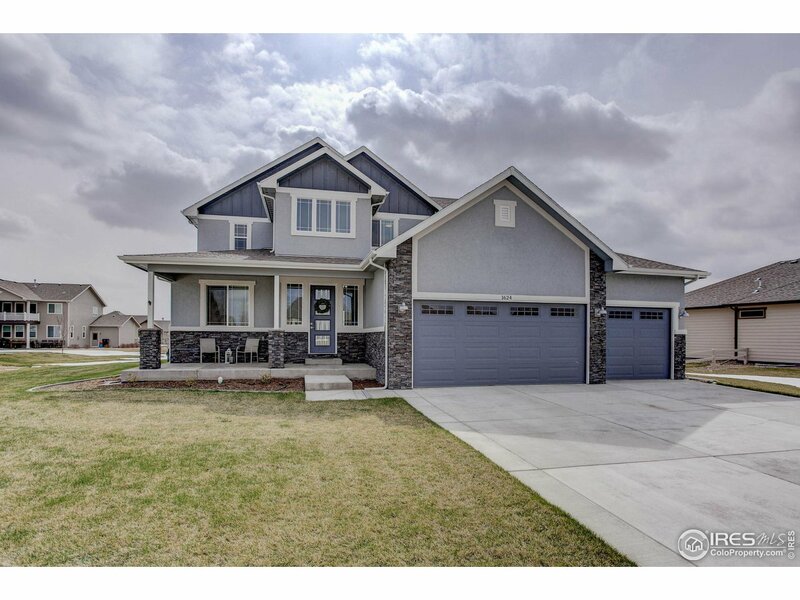 "Situated in a quiet cul-de-sac in Hawkstone this home is Priced to Sell! Featuring a spacious great room with gas fireplace, new interior paint, eat in kitchen with island & plenty of cabinets & counter space with brand new Black Stainless Steel Appliances. Enjoy the master bedroom with 5 piece bath and walk-in closet. Main floor laundry & two more bedrooms. Basement boasts large family room, bathroom and 4th bedroom. All this & fenced backyard with large deck and dog run ready for summer fun." 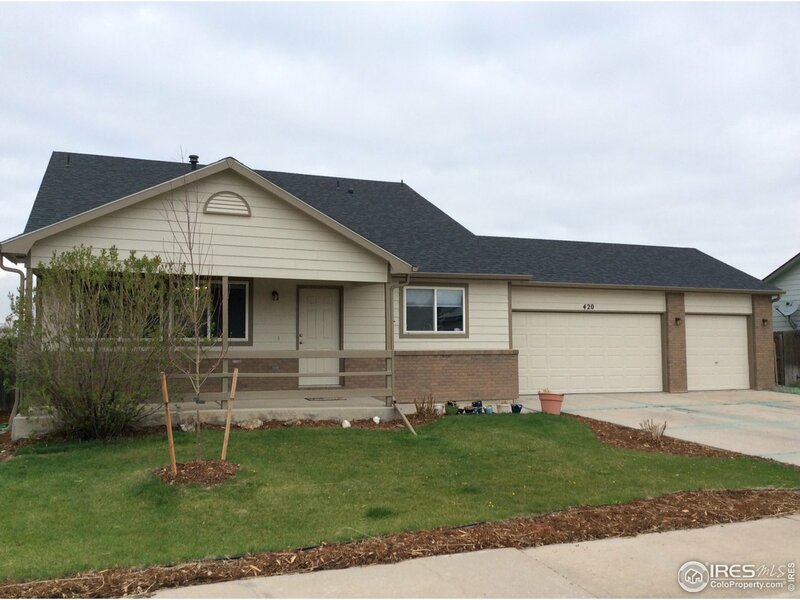 "Wonderful 5 bed, 3 bath ranch-style home, ready to move right in. Home boasts open floor plan, awesome for entertaining by the fireplace. Master Bedroom offers large bathroom and walk-out onto deck/hot-tube (included). Bsmt has 2 large bedrooms and bath. Lots of room for more bedrooms/family room and more. 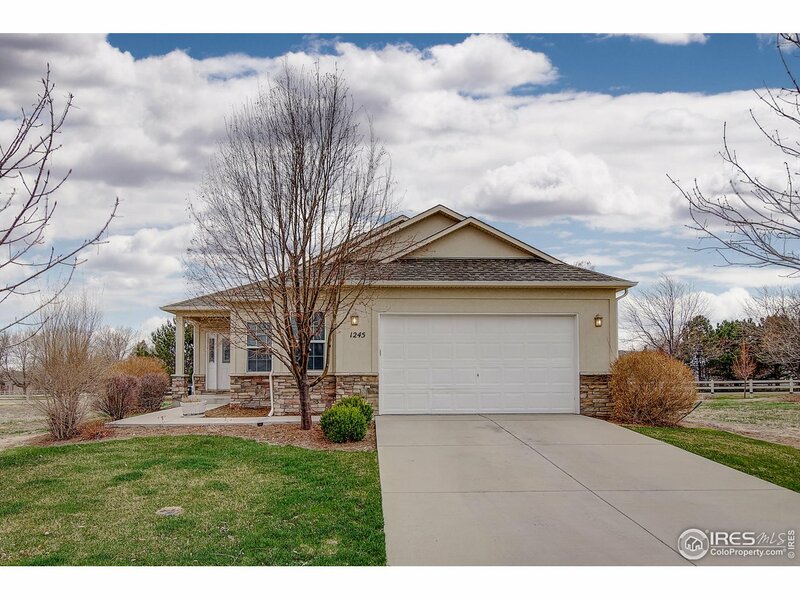 Home sits on large lot with covered patio, mature landscaping and storage shed. RV Parking and NO HOA. Close to the new Rec. Center. New roof and paint outside. Buyer to verify msmts." "Great home in Eaton Commons. Located directly across from large park. Finished basement with new carpet in all bedrooms. Wood floors." "Come get your piece of country living with large 50x30 shop with office and bath sitting on a .8 acre lot. 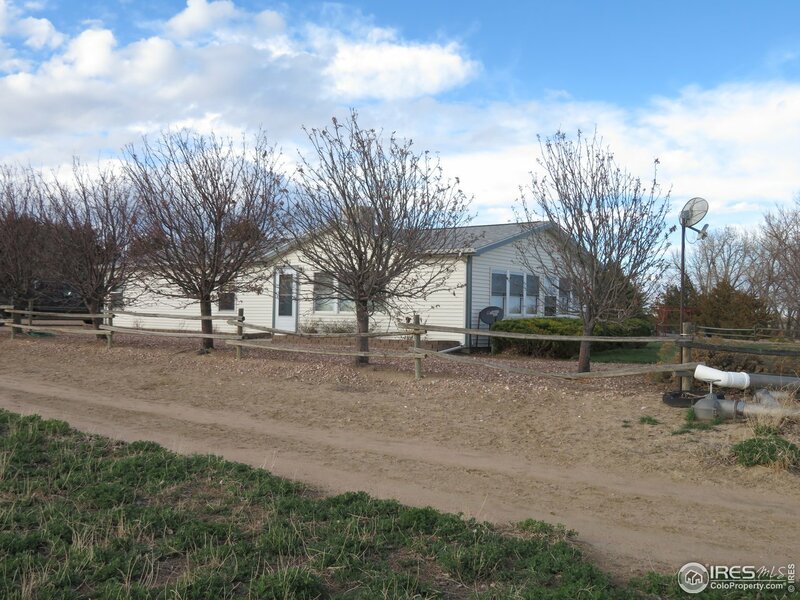 Very nice manufactured home with 9' ceilings 3 beds and 2 full baths. 200 amp service and ready for your business or hobbies. Call to setup and appointment to see this house today!"